We provide a full-range of custom imprinted apparel and gear, screen-printing, embroidery, and an extensive line of promotional products. 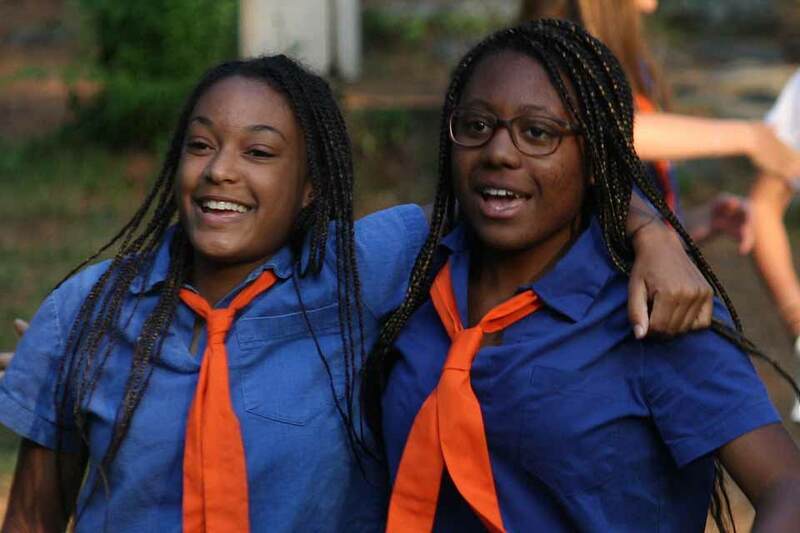 Your camp's traditions are important to us: we will work closely with you and your staff to insure satisfaction. Because we have our own manufacturing facility and over 60 years of manufacturing experience, we can create a variety of customized product for your camp – something no other camp has! We know camp directors are busy people! All you do is select the clothing and gear, and we do the rest! Our camp sales representative can work with you to create the program that best suits your camp’s needs. You select the clothing and gear for your camp. Choose from our vast variety of products and if you are not sure what you need, we’ll help you make the right selections based on your budget, camp colors, activities, and individual needs. Send us your camp logo for our use in customizing your products. Don’t have a logo? Our graphic designers can help create a logo for you. We provide your promotional products needed for pre-camp gatherings, early enrollment, gifts, etc. We screen print or embroider your camp logo on the clothing and gear you selected. We create your camp’s custom online store which is accessed directly with a link from your camp’s website or from the Bendinger Brothers website. Your campers order online, by phone, by fax, or with the mail-in order form. We handle all order processing and fulfillment. The merchandise is shipped directly to the camper or to your camp, if desired. Follow-up in the fall with our camp sales rep for changes, concerns and new ideas for the next camp season. Do you need an order of t-shirts or sweatshirts, or products to sell in your camp store? Or gifts for alumni, a staff thank you, or a camper welcome? We offer an excellent clothing selection and thousands of promotional products, as well as signs and banners, emblems and patches. We can help you select the right product at the right price for your camp, and get it to you quickly. You can feel comfortable knowing your campers and staff will receive only high-quality, durable products when shopping with us. And you can relax knowing that order fulfillment will be taken care of by our friendly and personal customer service. Get in touch for information on how we can help you!